so on. Wellsee solar inverter and controller have successfully got the CE and RoHS certification, which means the products are safe,environment-friendly and reliable. With the development of science & technology day by day, Bluelight Company makes great efforts to meet people's increasing demands by paying great attention. Bluelight Company regards the quality and prestige as the supreme, which puts itself under the surveillance of clients and administrative departments. 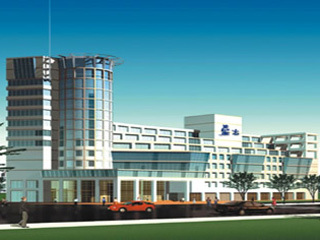 It has released the Guarantee on Quality and Credibility solemnly. Besides, it offers complete services (called Ten Reliable Services) in the whole procedure of sale and promises that it will try its best to be honest, efficient and speedy. Bluelight's behavior principle is Honestly to be a man, while wisely to be a merchant. Facing the great challenges and opportunities in future, Bluelight will always stand in the forefront of science and technology and take the responsibility to prosper China and people with well-developed medical industry, and Health Communication, Wealth Creation is Bluelight company's tenet. Mr. Bang Luo, the head manager of Bluelight Company, with all the staff, is making continuous efforts with the well-developed management to provide first-class products and services, and cooperating with all domestic and international enterprises and companies to produce medical apparatus for developing side by side and contribute more to Chinese medical industry and all people's health! Hubei Bluelight Science&Technology Development Co., Ltd is one of the earliest large-sized joint-stock high-tech enterprise in China that develops and manufactures home medical apparatus, electronic medical apparatus, solar series, security and safety products. It unified with scientific research, industry and trade as well as manufacturing, supply and sale. 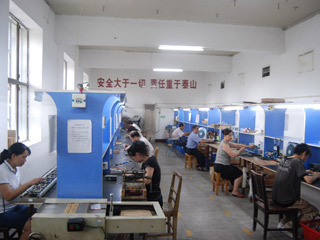 It is well-developed, owns modern official buildings and high-standard manufacturing factories with branches spreading China and agents in both cities and towns. 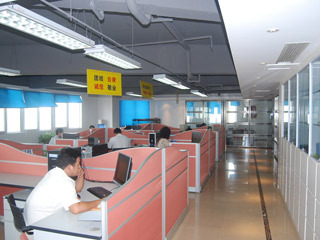 The company is the star enterprise in Wuhan supported by Hubei provincial government. Bluelight Company specializes in developing and manufacturing a series Bluelight Eight-Diagram Therapeutic Apparatusa which have been volume-produced and reached many other high-tech achievements. By compositing 13 therapeutic methods together with a two-ways diagnosis through hands and ears points, Bluelight Eight-Diagram Therapeutic Apparatus could cure disease without any injection, medicine or drug bag, and the medical effect can reach the root cause of illness in one minute. 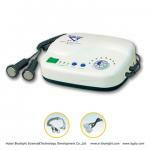 Thanks to its wide treatment scope, good curative effect and reasonable price, Bluelight Eight-Diagram Therapeutic Apparatus are well sold in China and many other countries and regions in Asia,Africa and America, such as Iran, South Korea, Malaysia, Taiwan, Canada, Germany, France, South Africa, Singapore, Thailand, Hongkong, Indonesia, enjoying high popularity among chinese and overseas Chinese all over the world. Meanwhile, Bluelight company greatly successful in electron, biology, chemistry, estate and etc. It has also harvested quite a lot through its vigorous developments of foreign trade after getting the export permission in the recent years. In 2007, Bluelight Company has passed ISO9001:2000 and ISO13485:2003 certification, which indicates that Bluelight Company has formed international advanced management platform, and its products are trusted to compete with international counterparts in quality. Also its products have a reasonable price. Bluelight is Hubei famous trademark and has passed the ISO9001:2000:13485 and CE certifications! There are two sets of compact disk about video teaching.(Website:http://www.bgzly.com). We are a large scale R&D manufactory of Hospital multifunction therapeutic apparatus and global supplier of home health care equipment.